Welcome to www.audiow3.com (the “audioW3.com” website). The services on this site are provided by AudioW3 Inc. and are subject to the following conditions of use. By using the audioW3.com site and its services, you agree to be bound by these conditions of use and all related policies, terms and rules. At audioW3, the personal information you provide us remains confidential, and this includes how it is used and disclosed. We will not sell or share our customers’ personal information to any third party. As a customer, you can access the details of your current order, your personal information (name, email address, password, communication options, address book and contact information, payment options). When you visit the audioW3.com website or send us an email you are establishing electronic contact and giving us consent to communicate with you via email. You hereby agree that the emails we send you satisfy any legal requirement that communications be in writing. The audioW3.com website cannot be reproduced in whole or in part, copied, sold, resold, visited, or otherwise exploited for any commercial purpose by a third party. When using the audioW3.com website, you become responsible for maintaining the confidentiality of your account and password and for restricting access to your computer, you acknowledge and agree that you are responsible for any and all transactions in your account via your password. Visitors may post reviews, comments, and other content; send e-cards and other communications; submit suggestions, ideas, questions or other information as long as the content is not illegal, obscene, threatening, defamatory in nature, an invasion of privacy, an infringement of intellectual property rights, or otherwise injurious to third parties or objectionable, and does not consist of or contain software viruses, political campaigning, commercial solicitation, chain letters, mass mailings, or any form of "spam." You may not use a false e-mail address, impersonate any person or entity, or otherwise mislead as to the origin of a card or other content. 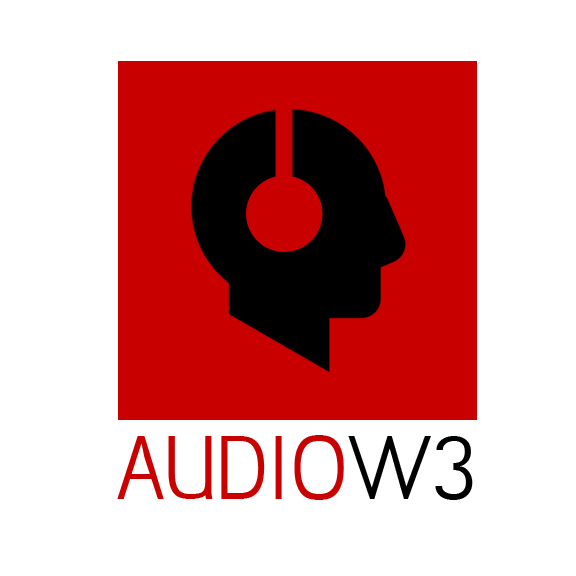 AudioW3 Inc. reserves the right (but not the obligation) and is not liable in any way whatsoever for content posted by you, the customer, or any third party. All items purchased from on audioW3.com are produced pursuant to a shipment contract. This means that the risk of loss and title for such items pass to you upon our delivery to the carrier. AudioW3 Inc. will do everything in its power to ensure the most accurate description of its products (including price) displayed on its website. However, AudioW3 Inc. does not provide any guarantee that product descriptions or other content on the audioW3.com website is accurate, complete, reliable, current, or error-free. If a product offered by audioW3.com does not conform to its description, your sole remedy is to return it in its original state. This website and all information, content, items, products (including software) and services that are included or are otherwise made available through this site is provided by AudioW3 Inc. on an “as is” and “in stock” basis. AudioW3 Inc. makes no representations and gives no warranties of any kind, express or implied, as to the operation of the site or the information, content, items, products (including software) or services included on or otherwise made available through the site, unless specified in writing. You hereby give your express consent to use the website at your own risk.